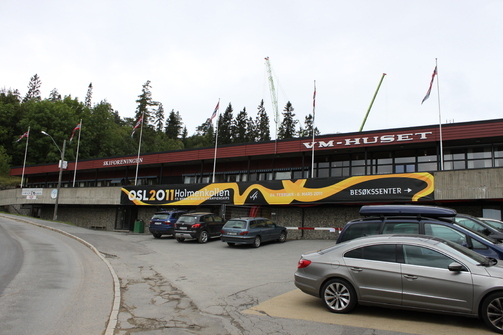 Due to the rebuilding of Holmenkollen National Arena for the Nordic World Ski Championships in Oslo 2011, the Ski Museum, Jump Tower and arena is unavailable to the public. - Information about the Nordic World Ski Championships in Oslo 2011. At Holmenkollen Visitor Center you will have the opportunity to read all about the event in 2011. - Information about the rebuilding of Holmenkollen National Arena. At the Visitor Center you have the opportunity to get extensive information about the new Holmenkollen Jumping Hill ”Holmenkollen Fyr”, Midtstuen Jumping Hill, as well as information about the rebuilding and improvement of the arena. There are illustrations and drawings of the new arena on display, as well as computers where visitors will get all the necessary information about the project. There are also films running. There have been ski jumping competitions in Holmenkollen every year since 1892. Holmenkollen has been named one of the world’s 3rd most famous sports arenas. The hill has been rebuilt 18 times, last time for the World Championships in 1982. At the Visitor Center you will be given the opportunity to explore the exiting history of Holmenkollen, and watch films from earlier competitions. Models of the old hill will be on display, as well as the impressive model of the ”Extendig Tradition” (the new Holmenkollen Ski Jump made by JDS architects). There will also historical films running. The Visitor Center will also offer a souvenir shop with a great selection of souvenirs from Holmenkollen, Oslo and Norway. The selection includes Dale of Norway sweaters, postcards, books, etc. We accept all credit cards, as well as several types of currency. In the cafe we will serve coffee, mineral water, soda and the Holmenkollen waffel and hot dogs, in real Holmenkollen style. During the summer months you can enjoy the view of the arena outside on our terrace. It is possible to book guided tours in the Visitor Center with one of our skilled guides. This can also be combined with a dinner/drink in our lavvo. This event can also be booked outside opening hours.